EMS Race Team is powered by ems+ and competes to raise awareness for Cleveland’s Cornerstone of Hope Foundation. 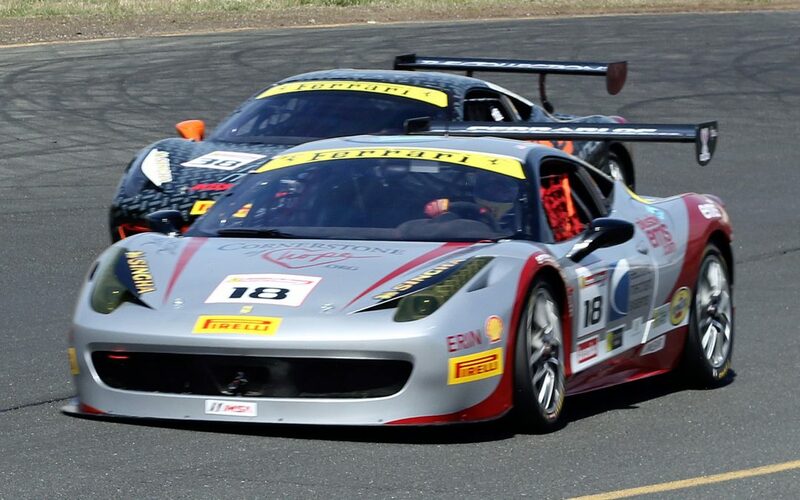 This past weekend, EMS Race Team competed in the Ferrari Challenge races at Sonoma Raceway in Sonoma, California. Race 1–which ended in a podium finish–was dedicated to Cornerstone’s upcoming series of summer camps designed to help support those who lost someone they loved. After qualifying second in class and seventh overall on Saturday, Jim Weiland and the Ferrari of San Francisco team added another trophy to the collection with a second place finish in Race 1. During race weekend, we caught up with Coach Conrad Grunewald and several members of the Ferrari of San Francisco team for a behind-the-scenes look at Sonoma. Those videos and photos are below. Coach Conrad Grunewald talks about reviewing video and data in between practice sessions. Andrew talks about preparations for Qualifying from the paddock at Sonoma. Behind-the-scenes with Dave in the Ferrari of San Francisco Garage at Sonoma. Rudy talks about adjustments and prep work on Saturday at Sonoma. Starting in the 15th position for Race 2, the EMS+ car quickly passed six cars in front of them. But alas, the second race was unfortunately cut short after contact to the right rear of the car on Turn 3. That contact spun out the No. 18 car driven by Weiland and forced an early exit from the race. Overall, though, the weekend was a big success and helped prepare Weiland and his team for F1 weekend at Montreal–the next stop on the Ferrari Challenge schedule. To learn more about Cornerstone of Hope and how you can help, visit CornerstoneOfHope.org.